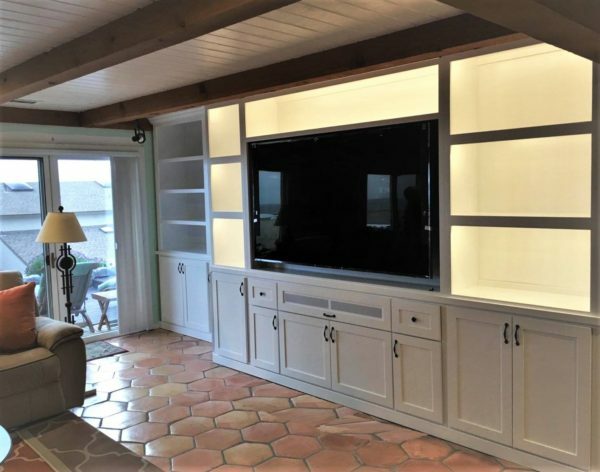 C&L Design Specialists offers LED cabinet lighting to showcase your custom cabinetry. We incorporate accent, display, task, and back lighting to enhance the beauty and functionality of each piece. Just like our millwork, all lighting is designed specifically for your unit. We are all familiar with the classic incandescent bulb. And most of us have worked under fluorescent lighting in offices and classrooms. But thanks to new technology, LED lights are fast becoming the industry standard and choice for today’s consumer. It is also the choice for C&L custom cabinetry. Read on to see why we recommend LED lighting. Unlike fluorescent and halogen, LED lights contain no harmful gases or chemicals. LEDs are made with epoxy lenses, not glass, and are much more resistant to breakage. LED lights are environmentally friendly and can be disposed of in a landfill. The lights are safe to handle since they are cool to the touch. LED lights run on low voltage, minimizing the risk of injury from live electrical lines. They do not emit IR and UV radiation, which can be harmful to fabrics and artwork. All lighting products are UL and CSA listed. LED lights consume 75% less energy than traditional lighting. LEDs produce very little heat, whereas incandescent and fluorescent release up to 90% of their energy as heat. Their lifespan is far beyond that of halogen lighting and nearly double that of fluorescent. They use significantly less watts than fluorescents and halogens, without compromising light output and lumens. LED lights are the size of a fleck of pepper and are capable of faster switching. LEDs emit light in a specific direction reducing the need for reflectors and diffusers that can trap light. The best cabinet lighting for your unit should selected based on your needs. Display lighting will be different than office lighting or even task lighting. 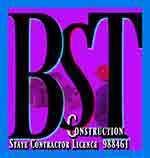 Your C&L design specialist will suggest the appropriate package based on your preferences as well as the existing light in surrounding areas. NORMAL Bright – 90 Lumens per/ft – Best for Accent Lighting such as Glass Cabinet shelves; also Cove, Kick, and Back Lighting. SUPER Bright – 170 Lumens per/ft – Best for Display Lighting such as under Kitchen Cabinets. ULTRA Bright – 300 Lumens per/ft – Best for Task Lighting such as Home Offices. MEGA Bright – 330 Lumens per/ft – Best for Garages and anywhere too much light is just right. WARM – 3000 K-rating – Incandescent feel – Soft & Comfortable – Preferred in kitchens. PURE – 4200 K-rating – Sunlight feel – Bold & Comfortable – Preferred in living spaces and bathrooms. COOL – 6000 K-rating – Fluorescent Feel – Bright & Bold – Preferred in offices or for a more modern look.